+DEF: Fae is an excellent mixed tank, and taking advantage of her getting +4 for +DEF instead of +3, which will put her physical bulk on par with her magical bulk. +SPD: The main reason to take a +SPD asset is to help Fae prevent getting doubled by enemies with middling Speed. In this case, it’s best to stack as much Speed as possible (including with her refined weapon). It’s worth noting that there are a wide variety of units that Fae will struggle to avoid getting doubled by, including those with incredibly high Speed and those with skills that guarantee doubles (such as Bold Fighter). Outside of utilizing Null Follow-Up, it may be worth considering a -SPD bane if Fae will get doubled anyway. +ATK: Increasing Fae’s damage output is always worthwhile, though it’s not quite as effective as +DEF or +SPD since a lot of her damage comes from the adaptive damage of refined dragon breath weapons as well as Special activations. RES: Fae has pretty good Resistance, but outside of dedicated magic tank builds it’s generally better to take a +DEF asset to even up her mixed bulk. -HP: Fae has ample HP, and taking a -HP flaw will hardly affect any of her matchups. She also gets plenty of HP from using a refined weapon which can help compensate for this. This is Fae’s strongest and most consistent set and is a fairly standard build for any defensive dragon unit. The combination of Lightning Breath and Steady/Warding Breath allows Fae to function as a fantastic mixed tank thanks to being able to counter ranged enemies as well as rapidly charging her Special with Steady/Warding Breath. This also allows her to work around the Special cooldown penalty from Lightning Breath. One important decision to make is whether or not to take a -SPD flaw on Fae; upper tiers of Arena tend to have more enemies with either incredibly high Speed or abilities that guarantee doubles, both of which make boosting Fae’s Speed a fairly moot point. Otherwise, -HP is best, and the choice of +DEF to maximize Fae’s mixed bulk or +SPD to prevent doubles from enemies with middling Speed is simply a matter of preference. Aether is a fantastic choice for this build, as Fae will be able to charge it within a single round of combat if she can double when initiated on. If she gets doubled, then she will be able to activate it on her second attack. Alternatively Blue Flame is a high investment option that will often do more damage than either Bonfire or Iceberg (use whichever would be higher based on whether her Defense or Resistance is higher); any of these will work as they can activate even if she doesn’t get doubled. Steady/Warding Breath is very important for this build mainly for the increased Special charge gain, though the extra defensive stats are quite good as well. The choice between the two is mostly up to preference. On a budget, Fury is acceptable but not ideal. If running Fury, then consider running Moonbow so that Fae can get at least activate her Special in one combat if she gets doubled. Quick Riposte is an absolutely essential skill, as Fae simply does not have enough Speed to double other units consistently without it outside of stacking Speed via team support. For Fae, Quick Riposte is best run as a Sacred Seal so that she can utilize a different B skill like Null Follow-up, Guard, or Null C-Disrupt. All three significantly improve upon her tanking skills considerably; Null Follow-Up is an infantry-exclusive skill that allows Fae to shut down enemies with skills that guarantee doubles like armored units with Bold Fighter. Alternatively, Guard allows Fae to minimize damage taken from Special-reliant units, such as Nephenee and Nailah. It also allows her to safely handle armored units who are running Bold Fighter, though not quite as effectively as running Null Follow-Up. Fae is a great unit to utilize Null C-Disrupt due to her strong magical bulk as well as the adaptive damage of dragon breath weapons. Fae’s C skill is mostly up to preference, but some good skills include Ploys to take advantage of her decent Resistance or Panic Ploy/Infantry Pulse to take advantage of her high HP pool. If running Quick Riposte as a B skill instead of a Sacred Seal, then Fae’s Seal can be pretty much anything; some good choices include those that increase her bulk like Close Def and Distant Def, while Atk Smoke allows her to provide a bit of team support while also boosting her survivability. This build aims to take advantage of Fae’s base weapon, Light Breath. Though the listed optimal version of this build is an extremely high investment, there are numerous budget alternatives that can make this an option for a budget setup. The point of using Light Breath over Lightning Breath is to provide support to both the team as well as Fae herself through the buffs it can grant. However, it’s important to note that while this build isn’t particularly effective if the team has access to dual Rally Assists (especially if they’re the + versions such as Rally Atk/Spd+), one of the benefits of having Light Breath is that those Assists are no longer needed outside of Arena scoring purposes. Due to the self-buffing capabilities of Light Breath, a Speed-stacking setup works a bit better for Fae than with Lightning Breath. However, forgoing Speed (including potentially taking a -SPD Flaw) and maximizing Fae’s defenses is always a good option as well. The lack of any Special charge acceleration from skills like Steady/Warding Breath means that Fae is better off using lower cooldown Specials like Blue Flame; Iceberg or Bonfire are acceptable alternatives if Blue Flame is unavailable. Distant Counter is pretty important for this build, as the buffs from Light Breath require Fae to have attacked in combat. Lacking it means that she is relegated to being most effective against melee targets only. In this case, some good options include Atk/Spd Bond (particularly if utilizing Blue Flame) or Fury for budget purposes. Fae’s choices for her B skill, C skill, and Sacred Seal are the same as if she were using Lightning Breath. However, it’s very important to note that Null C-Disrupt isn’t nearly as useful if she isn’t using Distant Counter since she still won’t be able to counterattack healers or other ranged attackers like Firesweep archers. Most of the best reasons to use Fae have to do with her availability for summoning as a 3-star unit; she’s generally a bit outclassed by most of the other green dragons. Fortunately, Fae is still quite a powerful unit in her own right due to her strong bulk and access to dragon breath weapons. Fae’s access to refinable dragon breath weapons means that not only does her bulk get even better with a refined weapon, but she can also utilize the adaptive damage trait against ranged foes, which also happen to be the units she’s generally better at handling. Her high HP and Resistance also offer her strong support options in the form of Panic Ploy, Infantry Pulse, and the debuffing Ploy skills. She also has access to some other skill options like Null Follow-Up and Null C-Disrupt, both of which are particularly potent when dealing with strong meta units. 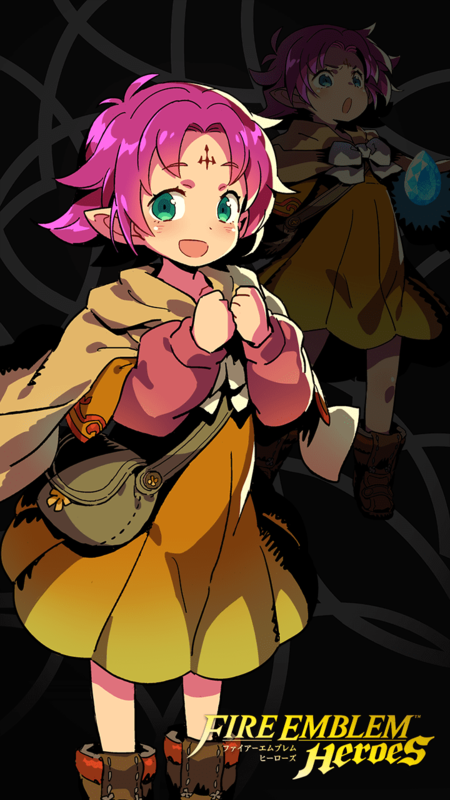 Overall, Fae is a strong unit and a popular candidate for merging to +10 due to her availability. She is functional with a budget build, but she shines the most with a high investment setup. Fae has good HP and Resistance and decent Defense; combining these with a refined weapon along with other skills like Warding/Steady Breath can turn her into a highly potent tank. As a unit available for summoning in the 3-star summoning pool, Fae is an excellent candidate for long-term merging purposes. This also makes it fairly easy to obtain a good Asset/Flaw combination for her. Fae can afford to not invest heavily into her offensive power because of the advantages that being a dragon offers her, which includes adaptive damage against ranged threats, access to unique buffs, as well as easy access to the Lightning Breath + Steady/Warding Breath + Aether combo. As an infantry unit, Fae has access to unique infantry skills like Null Follow-Up and Infantry Rush. Her high HP also makes her an excellent candidate for Infantry Pulse. Fae’s status as a dragon has a major downside which is that anti-dragon weaponry like Falchions or Naga are incredibly dangerous. Her status as a green unit makes this a bit worse as well since the vast majority of anti-dragon weapons are not blue. While Fae is quite effective with her optimal builds, one major problem is that they all need very high investment skills to function properly. While she does have budget options which can make those builds usable, they will never be quite as effective as the high investment setups. Dragons: Fellow dragons like Tiki (Adult), Nowi, Ninian, and Legendary Robin (F) are all great choices, particularly if they have strong dragon buffs like Hone Dragons and Fortify Dragons. Buffers: Mixed tanks like Fae make good use of all their stats, so she greatly benefits from buff support from units like Marth, Linde, Delthea, Eirika, and Sanaki. Debuffers: While Fae is also capable of applying debuffs, she also appreciates the support from dedicated debuffers like Arvis, Katarina, Saias, and Lute. Strong Blues: Despite her strengths, Fae will still struggle against strong red threats so strong blue units like Reinhardt, Legendary Tiki (Young), Ophelia, and Nephenee are all good options. Anti-Dragon Weapons: Fae stands almost no chance against Falchion users like Alm, Marth, and Lucina, but most other units with anti-dragon weapons like Roy, Tiki (Adult), Deirdre, and even Legendary Tiki (Young) will also take her out with ease. Strong Reds: Aside from the ones with anti-dragon weapons, other strong red units like Karla, Legendary Eirika, Celica, and Tibarn can easily handle Fae due to color advantage. Debuffers: Fae has strong stats overall, but she is still vulnerable to dedicated debuffers like Arvis, Katarina, Soren, and Spring Sharena. Preventing Counters: While Fae can work around this weakness with Null C-Disrupt, she is highly vulnerable to enemies that can prevent counterattacks if she is not using that skill. This includes units with Firesweep weapons like Soleil, Ayra, and Bridal Cordelia as well as healers with the Wrathful/Dazzling Staff combo like Brave Veronica, Halloween Mia, and Maribelle. Giving Fae enough health maybe 50 or more. If you pair her up with a tank and make them support along with a dancer you can add up to 30 health to a tank in one turn. Sol and Renewal keep her health up and if you pair that with an HP boon and continue to boost her health she can get up to 60 or more with summoner support. This makes her an excellent pocket healer that can hold her own against almost anything with buffs. Trying out a spin off Lu Bu memetic Wrath Fae build to prolong prior speed investments. May be good candidate for Atk and/or Spd Smoke. DD seal mostly for Reinhardt, but could maybe run a Bond, Stance, or even a Boost seal. 5* +6 build. Was a budget build, though I recently gave her Aether. Never looked back since. She's useful in every mode, and she's S rank Ally Support with Nowi. Fae is currently at +1 as one of my Arena Cores. I specifically chose her to be a counter to Brave Lyn and Reinhardts, while also being tanky and scoring high for being a dragon, with a quite standard build. Weapon: Lightning Breath + (Def). Swapped her Light Breath for Lightning Breath so she could counter Archers and Blue Mages, while allowing her to run Steady Breath. Assist: Ardent Sacrifice. Since Fae will be able to heal herself with Aether and has high HP, Ardent Sacrifice was chosen to support her teammate Brave Celica. Special: Aether. High scoring special, combos well with Steady Breath and makes Fae very durable. Standard. A: Steady Breath. Why wouldn't I? Fae's def goes up to 37 and allows her to proc Aether often. B: Quick Riposte 3. With meddling speed and a bane to the stat, Fae is only able to survive and double enemies because of it. Standard. C: Atk Tactic 3. Fae is my buffer of choice, so +6 to attack and defense should help Effie and Brave Celica. Simple build for Fae that makes her into a support unit for an arena team. The bond skill increases her Spd/Def so she doesn't die, and her weapon gives her teammate a buff so they can finish the job. The buffs helps your arena bonus unit(s) get kills for the extra arena points. Light BreathGrants adjacent allies Def/Res+4 through their next actions after any combat this unit initiates. Light Breath+Grants adjacent allies Def/Res+4 through their next actions after any combat this unit initiates.